Along with large shoulders and 6-pack abs, big arms are the detail which completes the image of the perfect body. Well, there is a group of muscle which deserves high attention, but as a general rule, these ones are considered the key point which every bodybuilder struggle to bring them to perfection. Big arms are what set apart men from a guy. To get massive arms is hard, but not an impossible mission. Especially in case of skinny guys who find difficulties to pack on a few pounds of muscle mass. A special approach is required for building big guns fast. Not only exercises are the ones who make the difference between success and failure, but also a few other ingredients which you have to know for making your arms a strong attraction point of your body. Hard work, dedication and smart combination of workouts, nutrition and rest time are absolutely necessary to noticeably increase of arm’s muscle size. Unless you are a genetically gifted bodybuilder, missing one of these elements set muscle gains away for some time ahead. 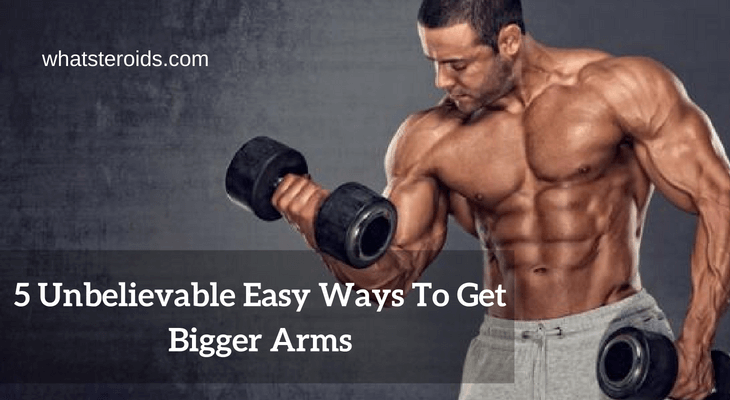 Times comes to get your biceps, triceps and forearm muscles at a new level and by reading this post you find the most unbelievable but still simple ways you can do it. Getting big arms being underweight is almost impossible. Like any other muscle in your body, guns need a proper foundation to get bigger; therefore increasing your overall body weight is a must. If it is your case, make sure you adopt a new diet routine which supplies your body with the necessary amount of nutrients and calorie to ensure qualitative weight gain. By this I mean, that the goal is not to gain weight simply, but to make sure it constitutes less fat and more muscle tissue. For this is dramatically important to follow a diet rich in protein in carbs and with no bad fats included. For gaining weight, a 2000-2500 calorie a day split into 3 basic meals and two snacks are more than recommended. 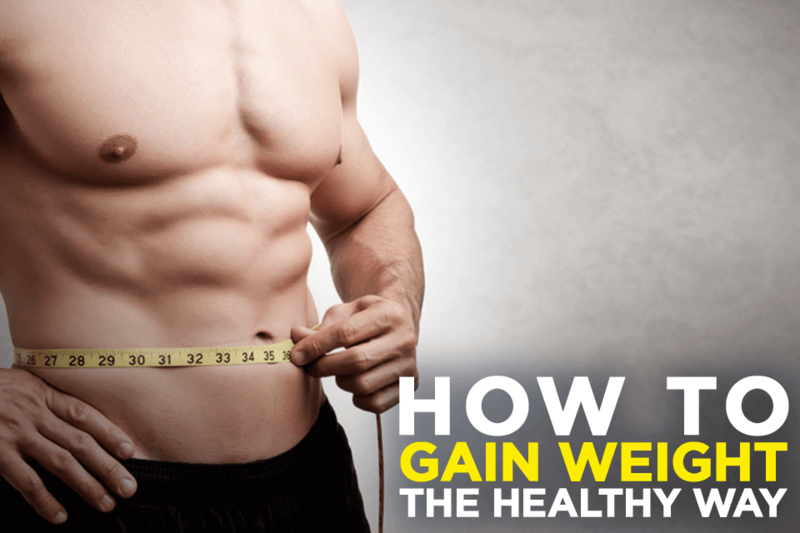 So, make sure your body weight is adequate before beginning muscle building efforts. If, so go to the next trick for building big arms fast. A simple search on how many times a week to train for increasing arms size could give a number of results, varying from one-two days a week totally dedicated to arm muscles, or inclusion of some arm exercises into your overall body weight workout. Which option to use in order to get the most benefits? A very effective method is proved to be a one-day week training totally dedicated to working out arm muscles. Arm muscles recover pretty fast, so you have to hit them at the highest level to get most of your workouts. High-intensity training techniques allow you to put maximum stress on them and cause them grows significantly. Standing barbell curls, preacher curls, incline dumbbell curl, lying dumbbell curls, cable curls are just a few of the most effective exercises for building big biceps muscles fast. As mentioned in one of our previous post dedicated especially to building biceps, isolation exercises have to be used carefully as they influence the muscle volume, but not strength. Lifting dumbbells or a barbell are perfect for increasing strength indicators, and as you know, the more strength you are, the higher ability to handle a challenging workout. Regarding exercises for building triceps muscles then parallel dips and bench presses are the ones that worth your attention. Basic exercises are the basis for newcomers in the gym, without the necessity to focus on isolation exercises alone. Bodybuilders with more than 2-3 years in the gym are encouraged to use isolation exercises regularly in their workout. Your goal is to get your arm muscles stimulated to maximum and keep them challenged over the training. By doing so, you will manage to cause more microtears and avoid muscle plateau stage. 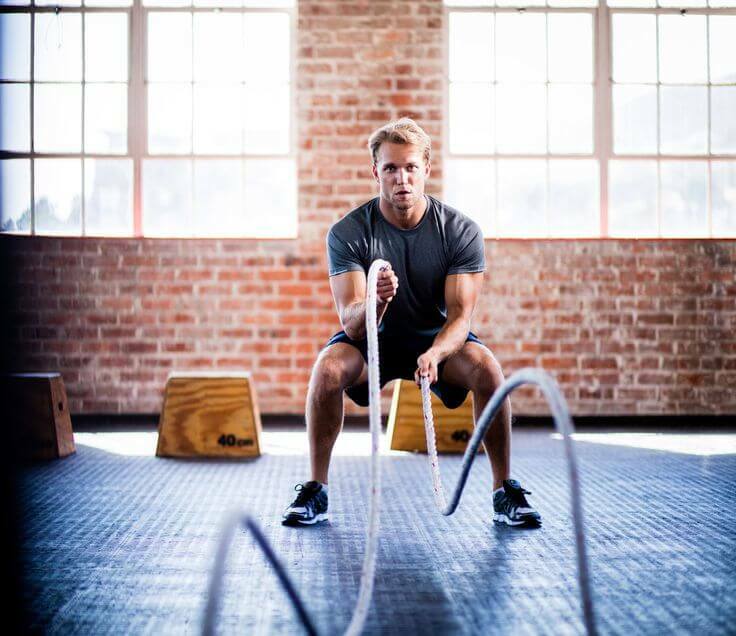 There are many ways to increase workout intensity, one of them are increasing the training time, a number of sets or reps, load up the volume or reduce the rest time between sets. Follow a progressive training method, trying to break the last reps and weight used in your previous workout. Never set to the same load for weeks and make sure you feel your muscles working during training. No pain, no gains. Experiencing muscle soreness after your workouts are quite beneficial and are a sign that you worked muscles at full amplitude. Between hard work and getting overtrained is a very thin line that you have to apprehend. Limit the number of sets to 8-10 and don’t get in the trap of 20 sets that promise wonders within weeks. Time is required to get bigger arms if you do it naturally. Another way is the use of steroids for bigger arm. Less number of sets means more breaks between them, hence recovery time is shorter. Please remember that muscle grow while you rest, therefore allow your body at least 8 hours of quality sleep per night. A short nap during the day would greatly benefit, but, unfortunately, for most bodybuilders, the work schedule doesn’t allow for it. Are you showing signs of overtraining? 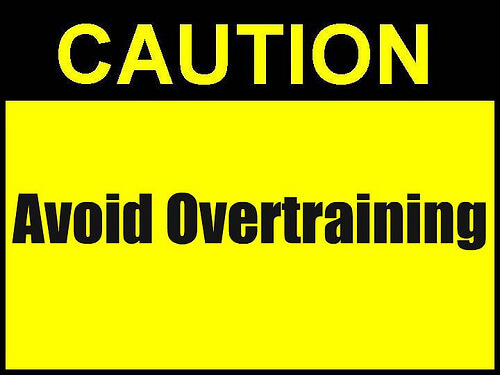 Read our post to find valuable information on how to deal with overtraining. While a workout routine gives you results, after a while, it may stop acting this way. This is because your body gets accustomed and no stimulus is provided already. 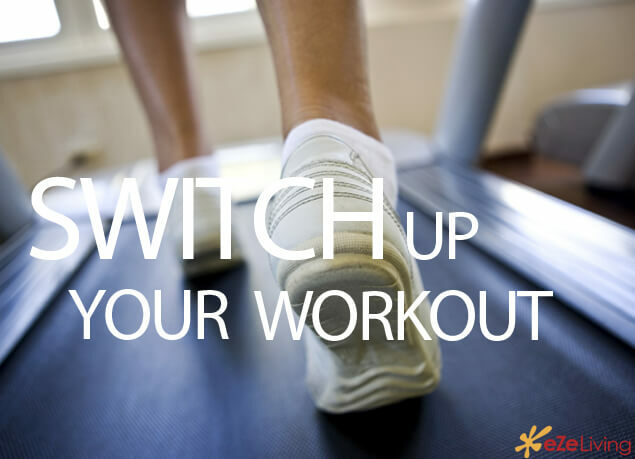 That’s why once in a while you are advised to change your workout routine and stick to a new one. How often this would happen relies on you and is quite individual. Your arm muscle will not become huge over few weeks of training unless you are on steroids. To get it naturally, you have to give your body time and a proper diet which support this goal. Slowly, but steady muscle gains are long lasting and will not go away fast as in case of steroid usage. Steroids help you to get muscle mass gain faster than naturally. So, that’s how you can get your arms bigger faster than you imagined. Follow above-mentioned tips and give 110% on every workout and start adding inches to your arms.